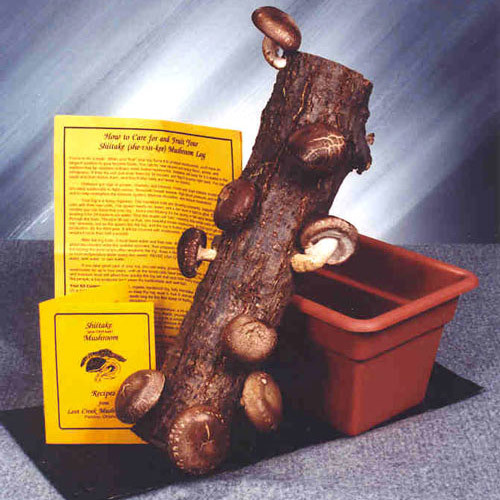 I once bought my brother one of those grow-your-own-mushroom log kits for Christmas. Not just any rotten log–the fancy shiitake kind. It’s a hardwood log “injected with shiitake spawn” (aren’t you glad you don’t have that job?) and promises to deliver mushrooms for 2 years after the initial fruiting and post a relaxation soak every 2 weeks. MS: “And it’s in the shade? Needless to say, countless unborn shiitakes were sacrificed to the burn pile that year. Next time I’ll go for the Jumbo Jerky Works. This entry was posted in Strange but True and tagged customer service, mushroom log, shiitake spawn by blmilhizer. Bookmark the permalink. Why Knew? There was a shiitake grow your own log much less a hilarious blog dying to be let loose.